It’s a two-story semi-detached house located in a very quite area but at the same time close to main services and facilities. The ski area is reachable by foot. The apartment, recently renovated, it’s comfortable and well-equipped. 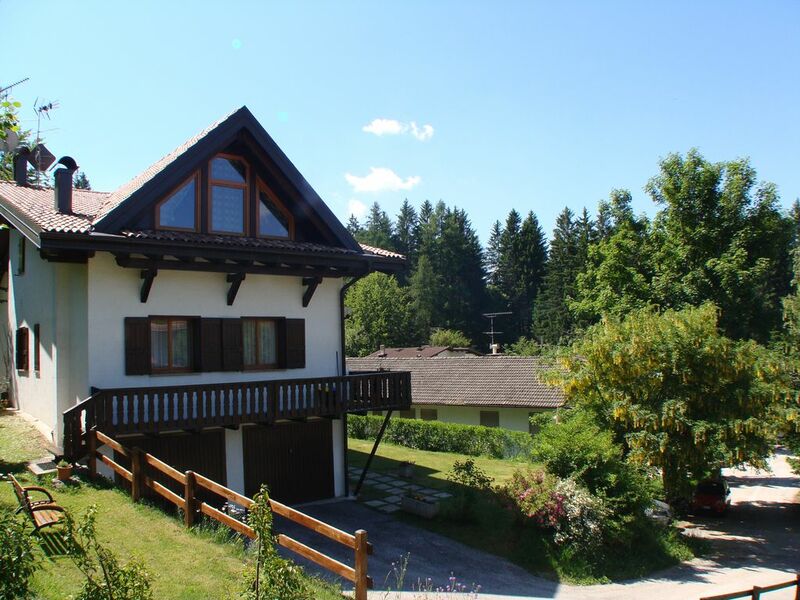 Wonderful stay in a very comfortable, clean, well equipped chalet. Location is perfect for hiking trails, WWI history, and day trips to Asiago, Verona, Padua, etc.Although located in very small village, pizzeria, restaurants, cafe bar, market, are all in walking distance. The only negative was wifi. It was not really sufficient for normal days usage and will shut off. "Fabulous roomey chalet perfect for a family skiing holiday. Spotlessly clean and very well equipped. Ski school and hire etc a 5 min walk away, extremely convenient location. Mr & Mrs S. very helpful and pleasant. We hope to return next year!" Het is een ruime woning en alles ziet er netjes en verzorgd uit. Mooie omgeving. Vriendelijke gastheer en gastvrouw. Centraal gelegen, echter wel altijd minimaal een half uur rijden om in het dal te komen. Eén ding ontbreekt en dat is een koffiezetapparaat zoals we dat in Nederland kennen. Sehr freundliche Vermieter, viele Möglichkeiten für Natur- und Kulturliebhaber. Ideal for four to five people. the temerature was ideal for us. nice and cool at night. day trips to Verona and Venice (car down to valley then train). Eccellenti sia la posizione sia la dotazione della villetta e del giardino in cui si può mangiare. Il proprietario è molto gentile e disponibile e offre ai propri ospiti anche l'indispensabile Trentino Card utile per accedere a numerose attrattive turistiche della regione. Immersa nel verde la villetta è veramente confortevole e consente di ospitare anche una famiglia numerosa. Il giardino permette di mangiare all'aperto e di giocare con bambini anche piccoli. Inoltre il paese è molto vivo e curato ed è ben servito per quanto riguarda i supermercati tutti raggiungibili in pochi minuti. Una vacanza da consigliare a tutti! THE AREA: Lavarone is situated on the plateau of the same name and consists of twenty hamlets. It’s an old resort which already existed at the end of the 18th century and was popular among Austro-Hungarian nobles,Sigmund Freud, Robert Musil,etc. There’s a small lake where one can rent a boat or spend their time on the beach. Remains of fortresses of WW1 are scattered all around the plateau and in those nearby (Asiago and Folgaria). In Forte Belvedere, the only fort which stands undamaged, there’s a museum. Another place of interest is “The Honey Museum” where one can learn how honey is manufactured and buy the local production. There’s also a diary which sells its own products. The most famous is Vezzena which has a P.D.O food quality certification and it’s a Slow Food Presidium (for further information: http://www.slowfoodfoundation.com/). It’s usually open on Sundays. -Trento: an ancient city, known by the Romans as Tridentum. Places of interest might be the duomo, Buonconsiglio castle and Roman ruins. -Rovereto: a city that shows the influence of the Venetian Republic. Mozart visited the city.